The future of the audio industry is interactive. Every day new applications and games are released. With millions of users across the globe buying into interactive content for their personal devices and home entertainment systems anyone serious about working in sound simply cannot ignore this exciting and rapidly expanding industry. 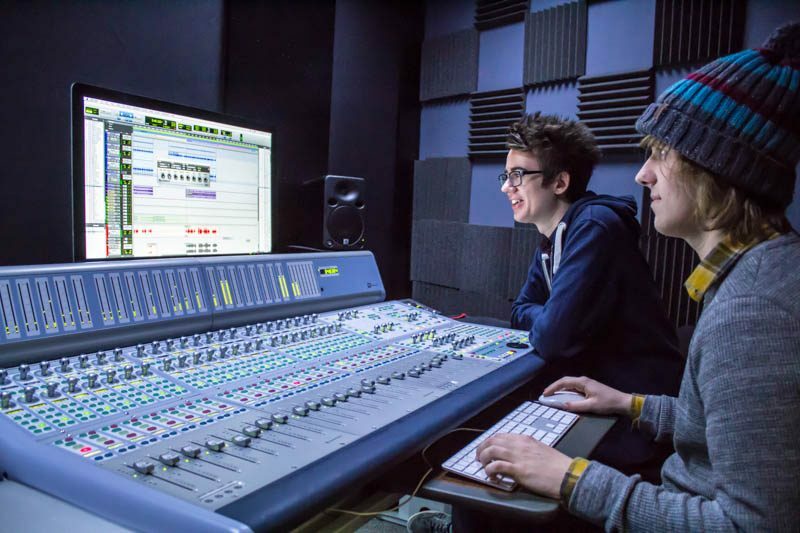 This course, developed in consultation with industry, is designed to equip hard working and enthusiastic individuals with the skills to succeed as an audio engineer – with a significant edge for those entering the game and interactive industries. The UK is a world leader in this field and Futureworks is a world leader in educating for this sector, teaching game and interactive sound since 2010. This course is a perfect blend of the technical and creative. If you are passionate about sound, love games and relish complex technical challenges, then this is the course for you. We’re looking for students who are intrigued by the tech that improves our everyday lives and who want to be the next generation of interactive audio designers. If you are interested in a career in the future of sound, this course will give you the head start you need. Sound Design, Music Production, Composition, Arranging, Recording, Dialogue Editing, Audio Programming, Sound Effects Recording, Sound Effects Editing, Foley, script editing, version control, asset management, data wrangling, vocalisations (animal, human, alien), efforts, backgrounds, cut scenes, trailers and cinematics, asset design and more besides.